Welcome to the Well of Life Center! I am pleased to introduce to you our purpose and intention, and share with you the possibilities that we can offer to you as you seek to improve your health holistically. Here at the Well, we are passionate about giving your body the tools to truly heal from the inside out, and we see amazing results in our clients every day. Please take some time to visit our Testimonials page and read some of our clients’ stories, or check our Services page for more information about the various modalities of holistic health healing we offer. Once you‘ve had the opportunity to explore our site, I invite you to schedule an appointment and take the first step to experiencing a new level of health! You may find information on our Doylestown office in beautiful Bucks County, PA, and our Bethlehem office in Lehigh County, PA, on our Locations page. Thank you for your interest in the Well of Life Center; we hope to see you soon! The Well of Life Center was founded with the purpose and intention of bringing glory to God. We are committed to being used by Him to offer hope and healing, and to promote wellness while empowering and educating each individual who enters any one of our facilities. The Well of Life Center was founded on the belief that the body has an incredible ability to heal itself. Through functional healing the Well of Life Center educates you so that you understand what is going on within your body, what is causing it distress, and how you can put it back in balance naturally. Unlike the traditional medical community our Clinicians don’t treat symptoms with medication but instead find the underlying causes of each problem, from diabetes to cancer, weight gain to digestive issues, Lyme disease to arthritis. By coming to the Well of Life Center, you will understand why your body responds in certain ways and learn how to truly heal it holistically. The Well of Life helps you through Nutrition, Chiropractic Care, Cooking, Massage, and Physical Fitness, the pillars that helped build the center and enable us to help you rebuild your body. Synergy between the pillars continually builds upon your ability to help you heal yourself, which allows your body to feel stronger and enables your systems to act in better harmony. Enter any Well of Life Center and feel the power of coming to a place that can help you help yourself. Our Clinicians really care about your well-being. They are interested in educating, enabling and empowering you to understand the path to a more healthy lifestyle. Feel at home as part of a community of people who have experienced the power of self-healing and have the faith that we all posses the ability to be healthier. 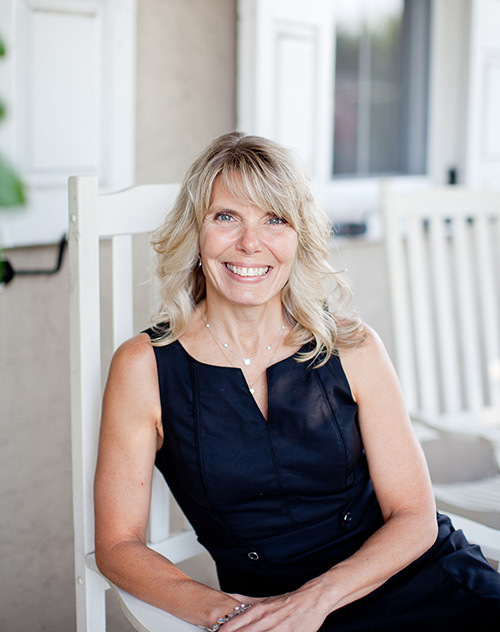 Cynthia Hofmann-Coale, founder of the Well of Life, is a Certified Nutritional Therapy Practitioner and an expert in Muscle Response Testing. She is a living testament to the natural healing power of the body, having overcome ulcerative colitis and cancer through the founding principles of the Center. It is her belief that God has created the body with the ability to heal itself. That belief is the cornerstone of all services offered at Well of Life Centers. Clients come to the Well of Life seeking alternative or holistic treatments for cancer, lyme disease, diabetes, heart issues, and many other health concerns. What they find is a competent, caring staff who is eager to listen and help. Through our many public and online lectures, as well as one-on-one consultations with our clinicians, each client is taught how to eat healthy, how food can be used as medicine, and how the inner workings of the body are affected by what is put into it. If this sounds like what you are looking for, we welcome you to come in and experience an initial consultation for yourself. Our wellness centers are located in Doylestown and Bethlehem, PA.